1.0 To outline the University’s commitment to providing equal employment opportunities to all individuals including any groups designated by federal or provincial legislation, and to provide a workplace free from discrimination. As members of the Federal Contractors Program, and in light of the university’s commitment to the Ontario Human Rights Code, the Employment Equity Policy sets out over-arching principles that aim to achieve equality in the workplace. 2.0 Federal Contractors Program (FCP) is a program that requires that provincial organizations with 100 or more employees and who receive at least $200,000 in federal contracts commit to implementing employment equity with regard to four designated groups: Aboriginal peoples, persons with disabilities, visible minorities/racialized groups, and women. 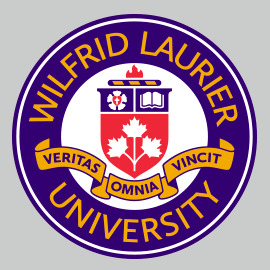 Wilfrid Laurier University is a contractor under the FCP. 2.1 Designated Groups is a term that refers to women, members of visible minorities, Aboriginal peoples, and persons with disabilities (and such other groups as may be included in the definition of 'designated groups' in the Employment Equity Act, S.C. 1995, c.46, as amended from time to time). 3.0 This policy applies to all current Wilfrid Laurier University employees. 4.0 University Commitment: The university is committed to providing equal employment opportunities to all individuals including any groups designated by federal or provincial legislation. The university is committed to providing a workplace free from discrimination and adopts the vision of the Federal Contractors Program to actively attract and retain diverse employees that are representative of the Canadian workforce, including members of the four designated groups and persons of any sexual orientation, gender identity, or gender expression. 4.1 Elimination of Barriers: The university is committed to promote employment equity within the university community and to eliminate any barriers that reduce or prevent employment equity. To this end the university takes a holistic approach to employment equity that considers recruitment, hiring, retention, and promotion practices and procedures. 4.2 Authority to operationalize Employment Equity policy: All individuals in positions of responsibility and having the authority to make or influence employment decisions are responsible for ensuring that this policy is understood, adhered to, and being consistently applied. This can be accomplished in various ways including, but not limited to ensuring equity in hiring practices, communicating the principles of this policy to the employees for whom they have responsibility, and working pro-actively to eliminate barriers to hiring and success for employee groups who have historically been subject to discriminatory practices in the workplace. To this end, it is the responsibility of everyone employed by the university to apply the principles of Employment Equity as described above so that we can work collaboratively to build a culture of inclusion at Wilfrid Laurier University. 4.3. Accountability: The university will uphold the spirit and practice of Employment Equity as described by this policy. The university shall analyze, review and take action on all areas of the employment process in order to remove barriers and eliminate discrimination. In particular, the university will provide programs designed to create awareness of employment equity principles, of potential or existing barriers, and will encourage all employees to work towards the realization of these principles and the elimination of barriers using a holistic lens to think about Employment Equity through all stages of the employment lifecycle (i.e., recruitment, hiring, retention, and promotion practices and procedures). Violations of this policy or the employment equity plan by employees of the university shall constitute unacceptable behaviour and will be subject to appropriate corrective and/or disciplinary action by the university.